Your customers all have mobile devices. Most walk around with Androids and iPhones. You have built your killer application, but your customers do not download it, and when they do, they do not use it. So how can you best engage your customers in the mobile channel? Directly. SMS remains the best medium marketers use today to reach customers. But too many use SMS as an ax and not a scalpel. Marketers are flooding their customers: SMS traffic will approach 10 trillion messages this year, thanks mostly to SMS campaigns. How do you effectively engage customers without drowning them? Smart marketers build geofences around key physical sites: stores, arenas, airports, schools, even competitor outlets. These fences create zones that trigger an SMS message or other action when a customer enters or leaves. It is called geofencing, it is new in mobile marketing, and there are some important secrets to getting right. Over the past three years I have helped hundreds of companies integrate location and geofences into their apps, their platforms and their campaigns. Here are a few secrets learned along the way. 1. Fish where the fish are. Build geofences where you believe your customers are, not necessarily where you want them to be. "When you know where your customers are, you can improve your marketing ROI," said Jeff Hasen, chief marketing officer of Hipcricket. Which means maybe you do not build them around your store. Perhaps another location - airports for busy travelers, schools for soccer moms - are better geofences than your own lonely outlets. 2. Big fences do not work. By definition, a geofence can be any size or shape. But would you rather know if your customer is in an attractive DMA, or when she is passing by your retail store? Construct geofences that are small and thus more relevant. Use this rule of thumb: the distance should equate to approximately four minutes travel time to your doorstep. If your store is in a mall, that is a four-minute walk. If along the road, that is a few blocks. Anything larger and you are reducing relevancy in your "local messaging." 3. Bland messages do not work. If your message is an ad versus an action, you will not drive the customer behavior you desire. You are not alone in your geofence aspirations. Today more than half of U.S. mobile ad spending is local. Your message must be brief, be locally-relevant and prompt action. And money always drives action: do not be cheap. 4. Make it important. The Starbucks latte coupon message magically appearing on your iPhone has been cited as the Holy Grail of location-based services for a decade. Technically, the capability is beginning to emerge with some - albeit spotty - location sources, but persistent handset location on the handset is too costly in terms of its toll on battery life. Besides, which customers want to receive dozens of coupon texts as they stroll through the mall? If you build a geofence, have it trigger an important action. Saving a quarter on a cup of coffee is not important, but redirecting a high roller away from a competitor's casino is important. Choose your geofence purpose wisely. 5. Watch the clock. A geofence is not just a place on a map, it is also a place in time. When you take action on a trigger and when you notify a customer to do something is just as important as where. Mobile marketing platform provider Vibes knows this very well. "Location, location, location" has always been the real estate industry's motto, but today, it's especially important for brand marketers to connect with their customers whenever and wherever they are," said Brittany Clotfelter, vice president of business development and strategic partnerships at Vibes. 6. Measure everything. Even if you are unsure of how certain metrics directly impact your campaign ROI, record them anyway. A geofence combines the physical world with the data world, which adds up to a brave new world for marketing analytics. Insight from the data comes from surprising places. American Eagle found that location-enabled geofence campaigns demonstrated that location, coupled with time of day was hugely predictive of interest and intent for consumers considering the purchase of any real-world product or service. Do you know what time of day marks the highest propensity for spending among your customer segments? You should. For American Eagle, geofences demonstrated a measureable shift in customer behavior. Location-relevant messages sent at the most opportune time in a consumer's day drove purchase behavior as high as 65 percent. Mobile ad spending is exploding. 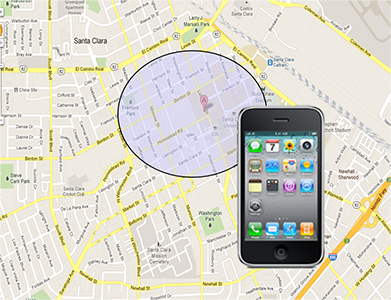 Geofencing is your best weapon to staking your territory in the mobile world to engage your customers. These six simple truths about geofencing and mobile location will help you drive the returns and engagement you desire from the mobile marketing channel. This guest article was written by Rip Gerber, CEO of Locaid Technologies. You can reach him at rgerber@loc-aid.com.